Here at Rickenbaugh, we look to make the car-repairing process as smooth as possible. Seeing your INFINITI QX30 or QX60 run at its best for years to come is our goal, and our INFINITI-Certified Collision Center is here to make sure it happens. 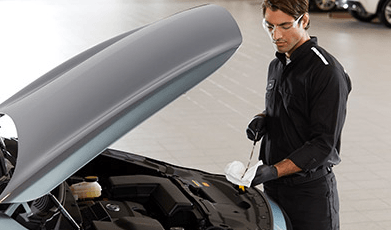 Whether your INFINITI SUV needs a dentless paint repair or your INFINITI sedan needs mechanical repairs, the Rickenbaugh Collision Center will be able to repair your car fast, so you can rejoin the road in renewed style. 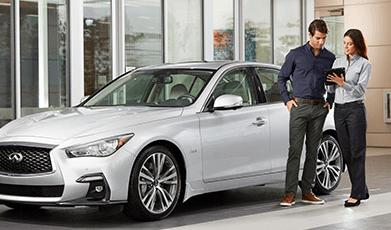 We believe that no one knows your prized INFINITI better than the team of I-CAR Platinum certified technicians at our INFINITI auto body shop in Denver, CO. Our INFINITI Collision Center is licensed and insured to service INFINITI vehicles, so you can rest easy knowing that your INFINITI is in good hands. In fact, we make it a point to stay up-to-date on the latest repair methods. That’s why you can be confident that we’re using state-of-the-art diagnostic repair equipment and technology at our dealership. Plus, our INFINITI auto body shop is I-CAR Certified and aluminum-structural certified, proving our commitment to providing top-notch aluminum repairs with the latest equipment.Our Denver collision center also offers a paint repair facility, which allows us to quickly match the paint color of your specific INFINITI model and trim, too. Our in-house paintless dent repair specialists and in-house clear bra specialists will restore your INFINITI to its original fit and finish, so your INFINITI can continue to turn heads in amazement. Our team utilizes the same environmentally friendly PPG Envirobase® waterborne paint system as the manufacturer because we want to exceed your expectations. We even work with all major insurance companies to make sure everyone can finance their INFINITI repairs. 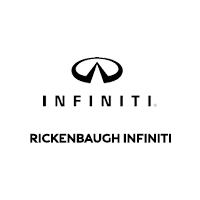 If your INFINITI needs some TLC, come to our Rickenbaugh Collision Center: a proud member of the CCG network of OEM-Certified repair facilities. Our Denver auto body shop located at 444 Kalamath Street and is open Monday-Friday from 7:30 a.m. to 5:30 p.m., so schedule service today and receive the INFINITI maintenance and repairs your sedan, crossover or SUV needs. We look forward to meeting you soon.